Industry critics worry that unregulated providers are over prescribing the drugs, glossing over potential hazards and failing to properly report problems when they arise. Logan Andreotta had been told she was an ideal candidate for in vitro fertilization. Though unable to get pregnant, the Bowling Green, Kentucky, woman was just 24 and in terrific health. But three days after she began taking fertility drugs, her ovaries went haywire and swelled with 50 eggs - four years' worth in a single go. "I felt like my insides were going to bust out of my stomach," Andreotta recalled. This was ovarian hyperstimulation syndrome - OHSS for short - a potentially fatal complication the U.S. fertility industry describes as extremely rare. But the incidence of OHSS and the broader long-term safety of hormone-boosting fertility drugs remain open to debate, even as the clinics have blossomed into a multibillion-dollar industry serving hundreds of thousands of women a year. OHSS is an exception. As the most brutal and immediate complication of fertility treatment, it can strike anyone taking medication to induce the ovaries to ripen multiple eggs - a fundamental step in egg freezing, in vitro fertilization (IVF) and egg donation that occurs about 240,000 times a year. Penzias said hospitalization for OHSS "is almost unheard of now" compared with 20 years ago. Still, a Washington Post analysis of national emergency room data found that the numbers remain significant. More than 9,000 women sought help for OHSS at hospitals between 2006 and 2014, the most recent year for which statistics are available - about 1,000 women a year. In Sweden, Canada and Britain - countries where governments regulate assisted reproduction and track patient outcomes - medical societies tell patients that an estimated one-third of procedures trigger at least mild OHSS symptoms. The coroner listed the cause of death as "misadventure" - the result of a risk taken voluntarily - a category more often applied in cases of drug overdose and blue moon occurrences such as fatal falls while taking selfies. Collecting one egg at a time would be maddeningly inefficient for IVF. So the drugs are calibrated to trigger a batch of eggs to ripen - ideally, about 10 to 15, according to recent studies. Any fewer and a woman's chances of having a baby go down. Any more and a woman's own health might be endangered. The latest data, presented in June at a conference in Europe, also showed no increased risk of ovarian cancer. And a study published in July found no increased risk of two other types of cancer - invasive uterine and breast - among 250,000 British women who underwent fertility treatment. The guidelines make no mention of colon cancer, perhaps because there is no consensus. A study in the Netherlands published in 2016 found - "reassuringly," the researchers wrote - that women who undergo IVF do not appear to have an increased risk of colon cancer compared with the general population. 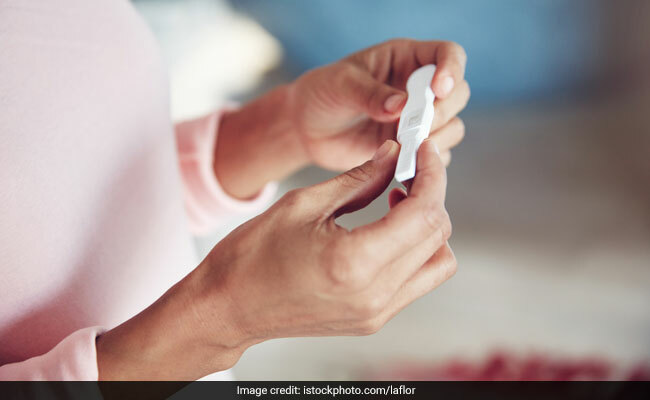 However, IVF patients were nearly twice as likely to develop colon cancer as women who received non-IVF fertility treatments, such as tubal surgery or intrauterine insemination, prompting the researchers to suggest that "further research is warranted." Schneider notes that the studies tend not to differentiate among women who take fertility drugs for different reasons. Some are infertile, some are fertile but in treatment because of their partners and some are elective egg freezers and egg donors. Schneider argues that these populations are distinct - and often very different in ages and hormone levels. "It was liters and liters and looked like the Coca-Cola you buy at the store - a brownish red liquid," she recalled.